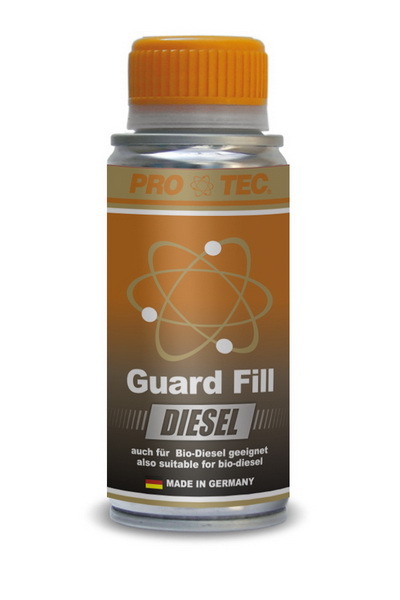 The Guard Fill-Diesel keeps inlet valves, injection nozzles and combustion chambers free of coke residues, reduces friction in the engine and protects all metal surfaces from corrosion. The Guard Fill additive package reduces fuel consumption up to 3 percent and can even reduce engine out emission up to 35%. Humidity and condensed water gets removed and the upper cylinder area is well lubricated and protected. 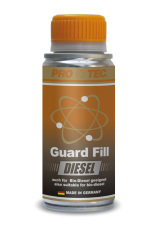 Guard-Fill keeps the engine in good condition during its entire life.